Our US service members are dedicated and highly trained professionals who risk life and limb serving under five primary branches and stationed in more than 100 countries. Transitioning from life in the military to civilian life at home can prove problematic. Those who see combat tend to experience higher rates of depression, anxiety, and symptoms related to posttraumatic stress disorder (PTSD). A recent report indicated that half of the men and women returning from service in Iraq and Afghanistan have sought treatment for mental health problems and chronic pain. Substance abuse often begins prior to leaving the military. In 2007, the US government revealed that 33 percent of troops who had committed crimes while deployed in Afghanistan or Iraq were under the influence of alcohol and/or other substances, including abuse of prescription drugs. A staggering one in eight service members were referred to alcohol treatment between 2006 and 2008. Alcohol, tobacco, and opioid prescription medications are among the most commonly abused substances for both veterans and active duty service members. A study released last year found that of the one million veterans treated for pain with opioid medications, more than half continued abusing the substance. And treatment of veterans for alcohol addiction has more than doubled since 2004. Some veterans report using drugs or alcohol to help treat insomnia relating to painful memories or recurring nightmares. Others use it to self-medicate symptoms of anxiety, depression, or physical pain related to training or combat. Common risk factors for substance use include environmental factors and external stress, age, exposure to use of these substances, mental disorders including anxiety, depression, and chronic pain. Someone fighting a war is likely to experience tremendous physical and emotional stress, fall between the ages of 22 and 30 years old, suffer some level of anxiety or depression being deployed far from home and family, and may cope with stress injury or other physical and emotional pain. Each of theses factors individually can contribute to a higher degree of susceptibility toward addiction, but combined, they can significantly increase a person’s risk of abusing drug or alcohol. Researchers have long known of the link between past trauma and substance use disorders. Veteran populations exposed to regular combat and associated traumas tend to suffer a higher rate of post traumatic stress disorder (PTSD) than civilian populations. Thirty percent of veterans returning home from Iraq and Afghanistan have been diagnosed with PTSD. That number reflects only those individuals who sought treatment at a Veterans Affairs (VA) clinic for symptoms of PTSD. Many more go undiagnosed. Another study found as many as one in three veterans seeking help for alcohol or drug addiction is also suffering with PTSD. Suicide rates among US military personnel and veterans have skyrocketed in recent years, with as many as 22 suicides occurring each day. Sixty-nine percent of those suicides reported involved veterans 50 years and older. One chilling statistic revealed that for every active service member killed in combat, another 25 veterans die by suicide. Drug and alcohol abuse may begin as part of a coping strategy during combat and continue as long as lingering symptoms of mental disorders relating to combat remain untreated. A comprehensive plan addressing addiction among veteran populations should include assessment and treatment of any co-occurring mental disorders, including PTSD. Cognitive Behavioral Therapy (CBT) as well as Eye Movement Desensitization and Reprocessing (EMDR) are two types of therapies that have been used to treat co-occurring drug or alcohol addiction and PTSD. 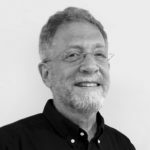 Seeking Safety is another evidence-based model of care that can be utilized in a group or individually and addresses co-occurring substance use disorder and past trauma. The VA offers treatment services for all honorably discharged veterans, though in special cases, may consider those individuals who were dishonorably discharged on a case-by-case basis. 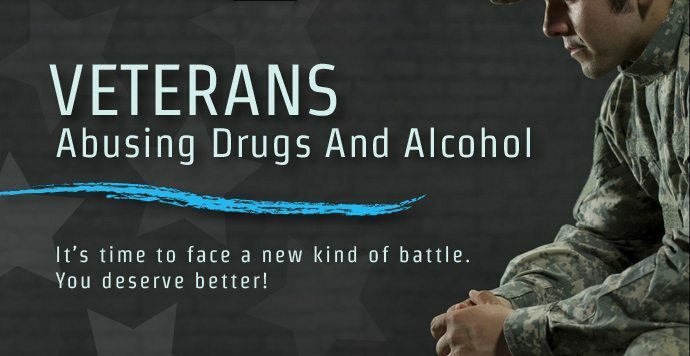 Veterans have access to drug and alcohol screening, outpatient Motivational Therapy (MT), intensive outpatient treatment, residential treatment, medically managed detox and pharmacological therapies, relapse prevention, extended counseling for the veteran’s family, and access to self-help groups. If you are a veteran of the armed forces suffering with the trauma of combat as well as drug or alcohol addiction, it’s time to face a new kind of battle. You deserve better and RehabCenter.net will connect you with the professional support and evidence-based care available to meet your individual needs and preferences. Contact us today in confidence and set yourself free from the addiction with the support you need and deserve. Discover a new and rewarding life in recovery.